Product Contents: Four Boxes. Each Booster Box contains 10 Booster Packs. Each Booster Pack contains 3 random cards. Still wishing for some cards to be reissued? 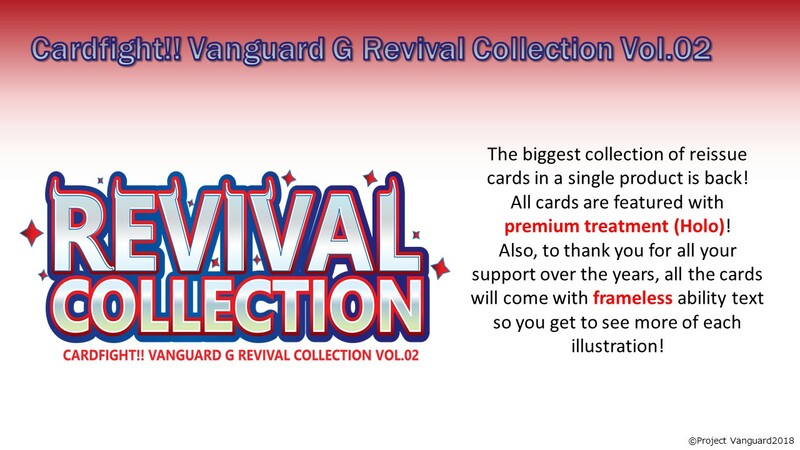 The [Revival Collection] series returns! 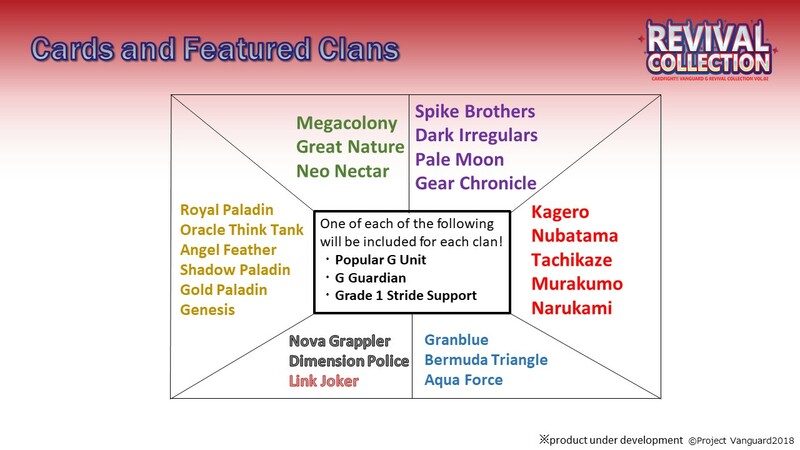 If you only have decks for the Standard format and want to experience the Premium format, this release featuring popular G units and support cards from previous releases is the one you’ve been waiting for! Premium format participants can also upgrade the rarity of their decks with this English exclusive release! 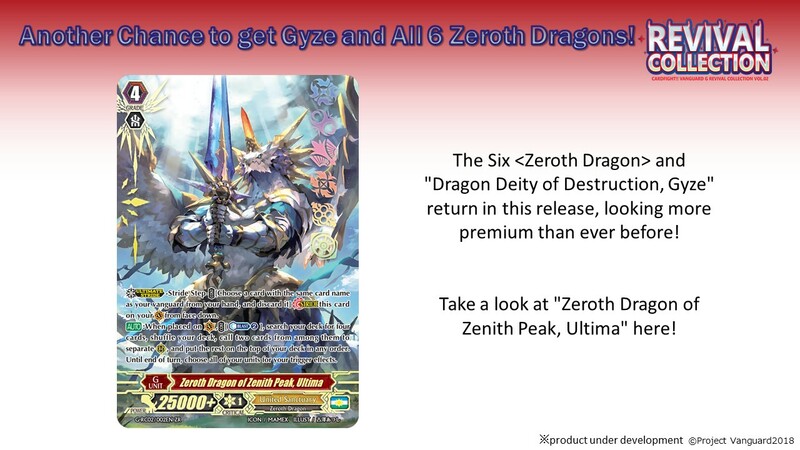 Don’t miss out on the chance to collect all the Zeroth Dragons too! 1 card in every pack will definitely be an RR or above card!! All cards will receive holo treatment!